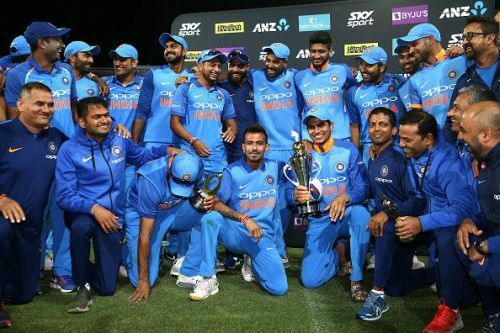 India outplayed New Zealand in the ODI series 4-1 to register their first series win in the country since 2009. 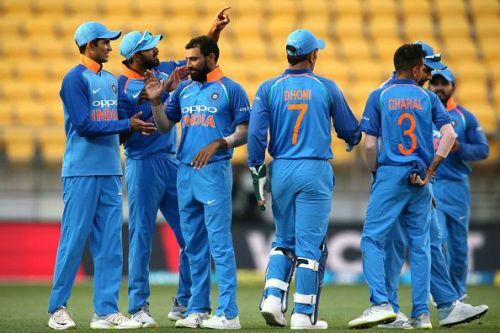 This was India's last away assignment before World Cup 2019 and with just one more ODI series to play before the tournament, it would have done their confidence a world of good. However, a win doesn't guarantee that everything went according to plan. So, here are the biggest positives and some negatives for India from this series. When Mohammed Shami first burst onto the international scene, he caught everyone's eye due to his ability to take wickets with the new ball and at the death in limited-overs cricket. He was quite rightly the leader of the Indian pace attack for the 2015 World Cup. However, a horrific knee injury suffered during that time kept him out of the Indian team for over a year. Consequently, he fell down the pecking order following the emergence of Bhuvneshwar Kumar and Jasprit Bumrah. But India's search for backup fast bowlers heading into the 2019 World Cup meant that he was given another go at white-ball cricket in the series against Australia. He grabbed the opportunity, sending down decent spells in India's first bilateral ODI series win in the country. He was at his absolute best in this series though, ending up with nine wickets from four matches and walked away with the Man of the Series award. He also became the quickest Indian bowler to 100 ODI wickets, a feat in itself. His form and experience bode well for the Indian team heading into the World Cup and he can be a useful ally to Bhuvi and Bumrah if required. His performance has also forced Khaleel Ahmed, who had assumed the role of the third fast bowler, to the bench.